Summer camp is a unique and special place where children make lasting friendships, experience new activities, collect a lifetime of memories and develop a greater sense of self-confidence. It’s a place where kids grow emotionally and become more independent. It’s a place to develop social skills and resilience. 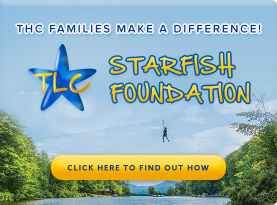 Summer camp gives children the opportunity to become part of a second family – their camp family. 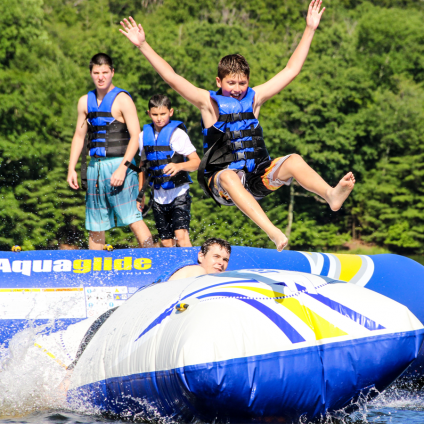 And Tyler Hill Camp has provided this experience for our campers and their families for more than sixty years. Tyler Hill is a traditional, full season co-ed camp for campers ranging in age from 7-16. Set on a magnificent 220-acre campus just two hours northwest of New York City, Tyler Hill features its own two large private lakes, a heated pool, unsurpassed athletic facilities, a professional nine-hole golf course, and twelve championship tennis courts. But more important than any facility on our campus are the nurturing counselors, unsurpassed spirit and years of tradition that make Tyler Hill a second home for our campers and counselors. Our camp’s mission is to teach children the skills of making and keeping friends, while building their self-esteem, self-confidence and resilience.